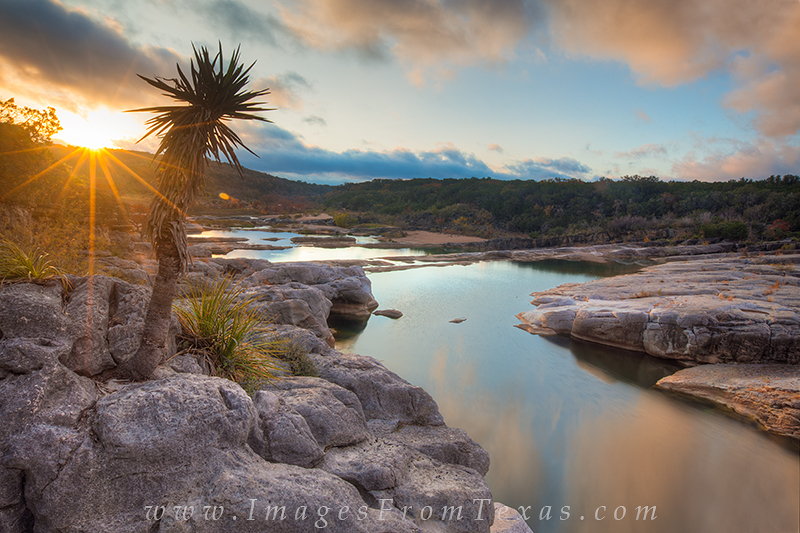 On this little rocky perch above the Pedernales River, I waited and hoped that the low clouds would allow for the sun to peek through. Finally, my patience was rewarded and I was able to capture this starburst. This little state park between Austin and Johnson City, Texas, offers trails and river banks to explore, and can be especially enchanting in the early morning when few folks are up. Photo © copyright by Rob Greebon.